Julia Taylor Ebel celebrates nature, heritage and cultural history through stories and poetry. Her books include Orville Hicks: Mountain Stories, Mountain Roots; Addie Clawson: Appalachian Mail Carrier; Walking Ribbon, and most recently, Dresses, Dreams and Beadwood Leaves. The earlier three received North Carolina Society of Historians book awards. 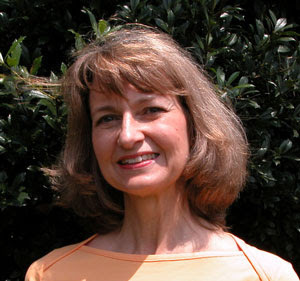 Over 50 of her nature poems are published in children’s magazines. Julia leads programs and workshops on keeping stories and on poetry. She lives in Jamestown, North Carolina, but a part of her heart is in the North Carolina mountains, where she finds inspiration for much of her writing. Rosa May wears dresses made from feed sacks, but her earthy knowledge of roots and herbs gives her hope of owning a store-bought dress and feeds her dream of wearing nurse’s white. 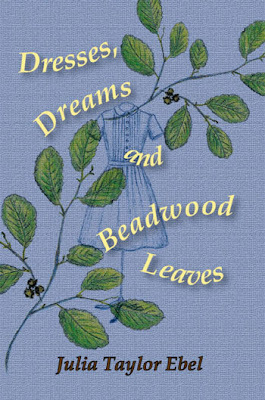 Dresses, Dreams and Beadwood Leaves sets a girl’s journey to mold her own self esteem within the cultural history of the North Carolina mountains in the late 1940s, where root and herb gathering has offered many mountain people a way to meet both needs and dreams. Dresses, Dreams and Beadwood Leaves includes delicate pencil sketches and end notes on root and herb gathering. This description from Julia Ebel's website is only the beginning of a story told in verse that will entertain and move you. Rosa May works to gather beadwood leavees to make enough money to buy a "store-bought" dress. She learns some important lessons about growing up in the process. and the shoes I need too. with the red plaid dress. with my order in hand. “Got a good price on beans today. Witch Hazel is a deciduous native shrub or small tree, growing 20 to 30 feet in height. Leaves are asymmetrical and shallowly lobed, 3 to 5 inches long. Witch Hazel grows commonly in moist, rich hardwood forests of Southern Appalachia, but its habitat extends through most of the eastern United States. The term “beadwood” comes from the hard bead-like seed capsule. When dry, seeds explode from the capsule. An extract from Witch Hazel leaves, bark, and twigs has long been used medicinally as a mild astringent. For centuries, people have used native plants as food sources. People also have eased their pain and soothed illnesses with teas and salves made from roots and herbs. Mountain people knew these herbal remedies. They respected local “herb doctors,” who shared knowledge of plants’ healing powers. As trained doctors and modern medicine became more available in the mid 1900s, people used herbal remedies less. Many Appalachian people learned to recognize the native plants. 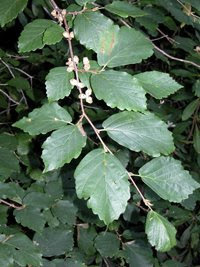 They spoke of these plants with common names, like beadwood (witch hazel), life plant, and turkey corn. They gathered roots and herbs and passed along knowledge of wild plants to their children. By the age of six or seven, children could help with root and herb gathering. Mountain people first gathered roots and herbs for personal use. Later, they sold these plant materials. Families bought school clothes and shoes for the children with profits from root and herb gathering. Native plants provided the primary income for some families. Money from the sale of roots and herbs not only bought clothing but also helped pay electrical bills and property taxes.